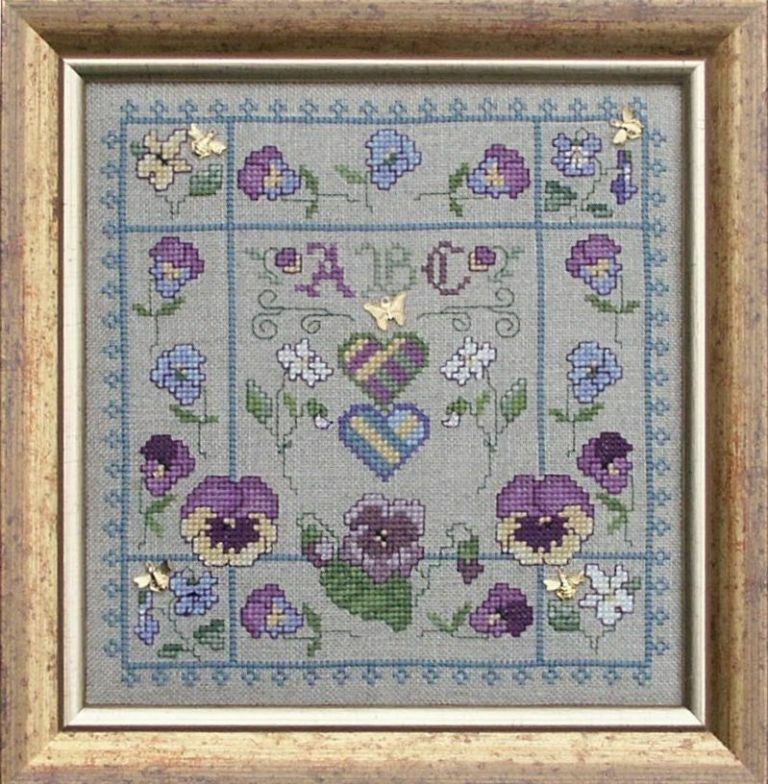 This is one of my favourite designs originally included in an early range of cross stitch kits. We still have a version of this design on the web site. The cross stitch motifs are outlined in backstitch and the design does not include any fractional stitches. You can work this project on linen or Aida fabric but remember that the thread count of the fabric will determine the finished size of the stitching.